Mr. Longmore represents clients in a wide variety of matters, including estate planning and taxation, planning for closely held businesses, and probate. Mr. Longmore’s estate planning practice includes the drafting of basic wills and revocable trusts, as well as the utilization of more sophisticated estate planning techniques such as family limited liability companies and partnerships, dynasty trusts, charitable trusts, irrevocable life insurance trusts, defective grantor trusts, split-dollar agreements, foundations, and charitable support organizations. His estate planning practice also includes estate administration, the probate of estates, the preparation and filing of estate and gift tax returns, reformation of irrevocable trusts, and general tax planning and consultation. 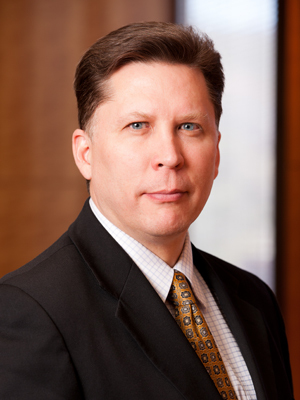 Mr. Longmore is a fellow of the American College of Trust and Estate Counsel (ACTEC). Mr. Longmore is the Chair of the Ray Quinney & Nebeker Tax, Trusts and Estate Planning Section. Mr. Longmore’s business planning practice includes formation, planning and taxation of professional corporations, C corporation, S corporations, limited liability companies and partnerships. Mr. Longmore drafts stock transfer documents, buy-sell agreements, lease agreements, and all types of agreements and contracts necessary to a company’s business operations. Mr. Longmore has a sophisticated pharmacy practice, representing independent pharmacies in many different states on all aspects of their business operations, succession planning, estate planning, and taxation. Mr. Longmore has an LL.M. in taxation from Denver University, and is a Certified Public Accountant. Mr. Longmore is a frequent speaker on advanced estate and business planning topics, and he is licensed to practice law in Utah and Idaho. Mr. Longmore has been recognized by Chambers High Net Worth 2017 Guide in Private Wealth Law (Band 2). He has been included on the list of The Best Lawyers in America in Trusts and Estates and maintains an AV Preeminent (5.0) rating with Martindale-Hubbell, which is the highest rating awarded to attorneys for professional competence and ethics. Mr. Longmore has also been voted by his peers throughout the state as one of Utah’s “Legal Elite,” as published in Utah Business Magazine (2005, 2007-2015, 2018-2019).